The owners and staff at Georgia Mountain Cabin Rentals believe our customers should be 100% secure in the way we handle personal information in person and online. You can be confident the information you provide us will be kept private and secure. We want your Blue Ridge, GA cabin rental experience to be the best, not only while you are in the cabin rental in north Georgia mountains, but once you leave as well. Knowing that your information is safe and sound. For Owners, a personal username and password are required to access and use your account. You can always get your information by contacting us at the office. Here at Georgia Mountain Cabin Rentals, we Do Not sell any information to third party vendors for any advertising purposes or any other purpose. There are only two times we would share your information, one, is upon your request. If you ask us to coordinate items for you to do while in a Georgia Mountain Cabin Rental, we have to give your information to third parties. The other time would be only if required by law and have been requested by proper authorities. Through our newsletters, online forms, and reservations software, we gather customer information for the purpose of serving you in the most convenient way possible. The collection of personal information is never misused or sold to any third party. Collected financial information is used solely for the purpose of billing the user for products and services. 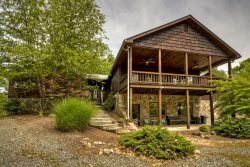 North Georgia Cabin Rentals will often send newsletters in regards to specials, upcoming events, and other exciting news that may happen in our beautiful area in the Blue Ridge Mountains. The States this website and our offered services may change from time to time and without notice. This also includes items that may be listed as cabin amenities. All aspects and transactions on this site will be deemed to have taken place in the State of Georgia, County of Fannin, regardless of where you may be accessing this site. This website is managed and controlled by Georgia Mountain Cabin Rentals and is used for informational purposes only. Although we try to be as conscientious as possible in its correctness, we can not guarantee its accuracy 100% of the time. By using our website, you are agreeing to the privacy policies of Georgia Mountain Cabin Rentals. We can be reached at contact@georgiamtncabins.com or (877) 656-7368.